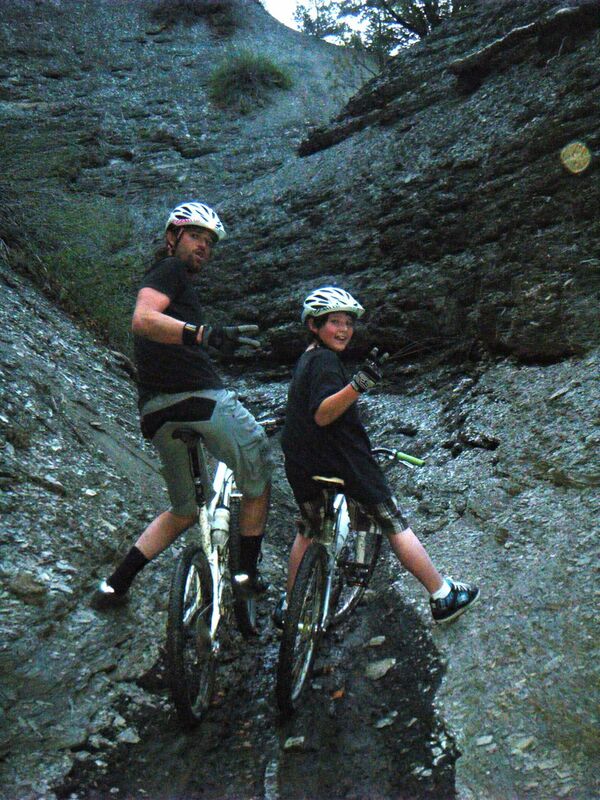 The Yackle Bros from Cortez lead out the race. 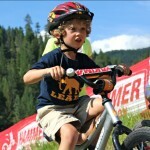 This little bugger had a good time at the Mizz ProXCT kids race. 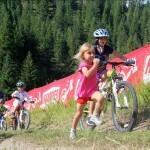 Having a good time is what it all about with ProXCT kids races. Annie tries to keep Michael moving after he came to a stop mid course in this snow drift. Troy did it. He did a practice lap in 7 minutes and said it was fun! Chad got so hot from shoveling’ he decide to bust out some hot laps on the fat bike! Get ready for a great Sunday Series Finals at FLC this sunday! Devo’s Sepp Kuss could take the overall series title with a solid race. Good luck! 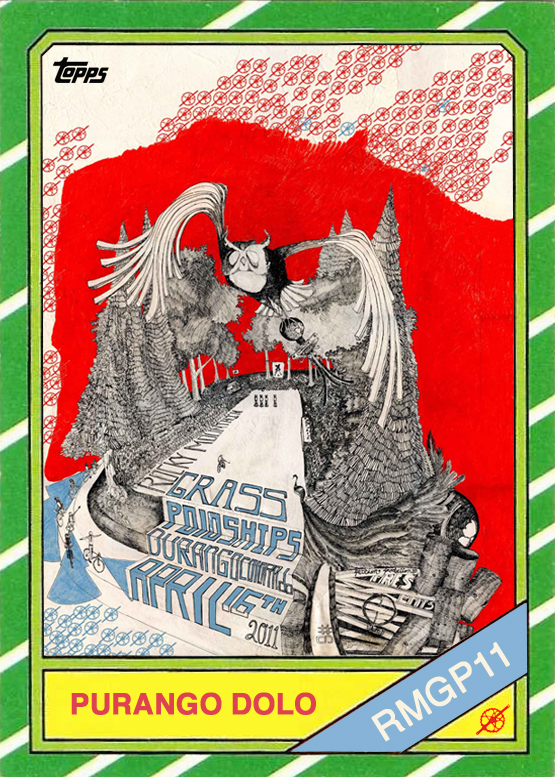 Series awards and fun at the Embassy 6pm this sunday. Devo Coach Chad is a BBBS Big and needs to help find some Bigs for the kids below. Contact BBBS if interested! 1) John, age 13: Loves video games, animals, reading, and doing Karate. In his free time he likes to go swimming, play board games, ride bikes. He thinks the best Big for him would be one who was kind, caring, energetic, and could help with his homework. John lives with his mom and could really use a male role model in his life. 2) Chris, age 13: Loves fishing, swords, science, video games, and going on the trampoline. When he grows up he wants to be a scientist or an adventurer. He believes a Big is someone who helps you out, respects you, and cares about you. He lives with his mom and younger brother and would like someone to get out and do new things with. 3) Noland, age 7: Noland is super energetic and loves biking, playing outside, trains, and doing fun adventures like going to the pumpkin patch. He is quiet at first but when you get him talking he loves to chat and has such a vivid imagination! He lives with his mom and needs a positive male role model in his life. 4) Phil, age 12. His interests are drawing, going to the Rec Center to hang out, soccer, and the anime series Dragon BallZ. 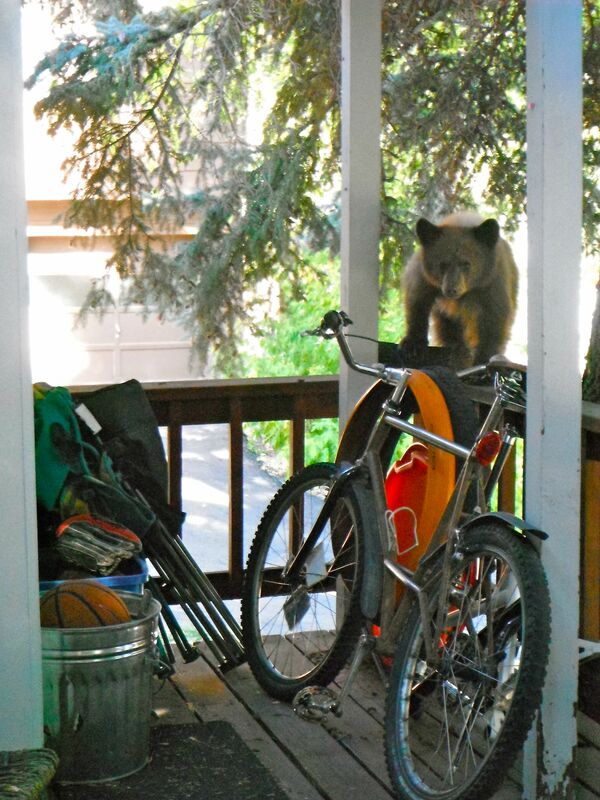 He just moved to Durango and needs some help adjusting to life in a new town. According to his mom, the ideal Big for Phil would be someone young and energetic who would show Phil they cared about him and built up his confidence. 5) Ron, age 10. Ron is a sports guy through and though. He likes football, basketball, and just hanging out and being outside. He is very interested to learn how to skateboard and snowboard. He also is developing a love for reading and would like his Big to help him with his homework sometimes, when they aren’t playing sports together! 6) Rachel, age 9. Rachel is an active and energetic young lady. She likes doing gymnastics, swimming, baking, and arts and crafts. She is hoping for a Big Sister who can run around and play with her on the playground, do art, and go out for ice cream together. 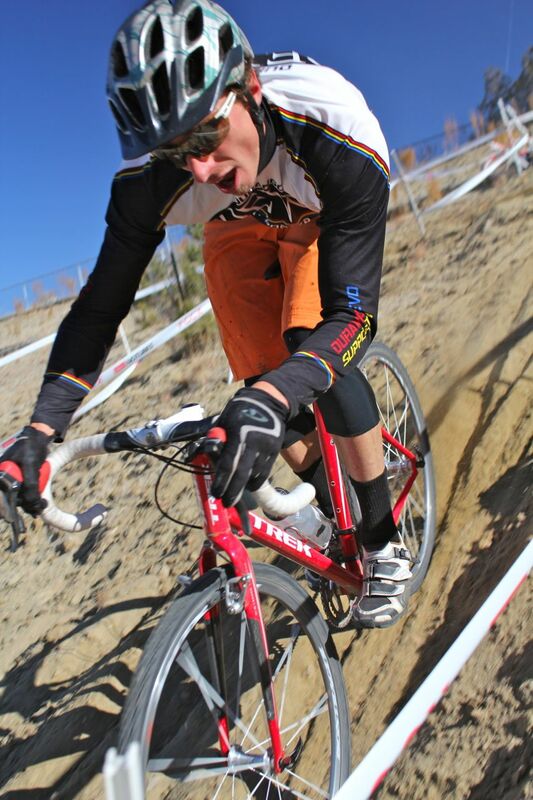 Sure would be nice to have some enthusiastic cross race hecklers for the CX series finals at FLC on Sunday! Sounds like we might get some real weather as an extra bonus. Bring your drums/bells/pots and pans. Where: FLC stadium for start/finish. Times: Women and Men’s B’s at 10am, Men’s A and 35+ dudes at 11am. Please spread the word to other known hecklers. Don’t forget the awards party at the Irish Embassy Pub at 6pm on Sunday night. Sepp Kuss is the series leader going into the final race this sunday. The new venue for this weekend at Tiger Park in Aztec offered up some new terrain for everyone with some sandy run/ride ups, gravelly paths, sandy sections and some thick grass accentuated by the obligatory collegiate maze. Thanks to the City of Aztec, Pete Shirk and Cottonwood Cycles for hosting the event. Day 1 began with the standard weather so far this year, dry and relatively mild. The Men’s B class was a pack race for the first few of the 4:40 laps with the usual suspects at the front with one newcomer, Adam Digby (FLC). Jacob Smith (FLC) soon separated himself and despite repeated attempts by Digby, took the win with Digby in second and Troy Hachmann (FLC Alum) having yet another solid ride for third. The Open Women’s race also stayed tight for the first few laps until Sofia Gomez Villafane (FLC) created a gap over the chasers and went on to a comfortable win. Lauren Catlin (FLC) and Sarah Sturm (FLC) have their form coming on at the right time to take 2nd and 3rd. 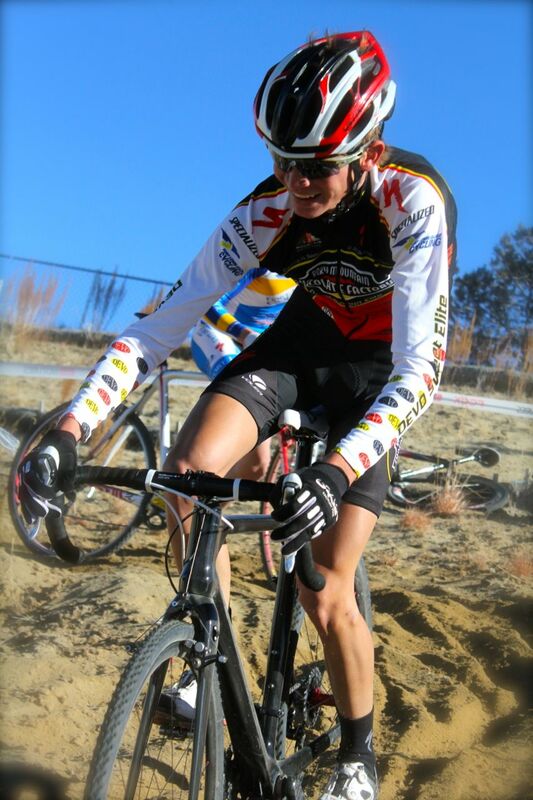 Series leader Brianne Marshall (Stan’s NoTubes) had an off day and finished 4th. The Men’s 35+ race had the same group of instigators start off the race but the outcome was highlighted by a newcomer. Matt McGee (2Cross) was in town from Las Vegas and showed up to create a gap from the beginning and grew his lead throughout the race to take a convincing win over the Stan’s NoTubes tandem of Frank Mapel (2nd) and Michael Carroll (3rd). Jon Delacy (DWC) again showed he was the best of the rest by finishing 4th. The Men’s A race was sure to be decided by the FLC racers vying for spots on the National Team that will represent FLC on Januray 13th in Madison, WI. Leave it up to Sepp Kuss (RMCF Sweet Elite) to derail those plans by keeping tabs on Skyler Trujillo (FLC) and Rotem Ishay (FLC/Jamis) for the majority of the race and then pulling away to take the win – Trujillo 2nd, Ishay 3rd. Mike Sampson (FLC) had his best result to date by riding to a solid 4th and Robbie Jones (FLC) kept up the consistent results coming with a 5th place effort. Day 2 in Aztec conditions were markedly different with a brutally cold wind out of the west making it very cold out in the elements and a few snowflakes flying. The course was run in the reverse direction from the day before with a few additions to make it a longer lap. The Men’s B race seemed a tight pack race from the beginning but the group didn’t realize that Peter Marshall (DWC) had exploded off the front to take the win in dominating fashion. Jacob Smith (FLC) road the majority of the race alone to take 2nd and Troy Hachmann (FLC Alum) overcame a first lap mechanical to take 3rd yet again. In the Open Women race Brianne Marshall (Stan’s NoTubes) exacted her revenge on everyone by using her teams cannon to obliterating the field and even passing all but one B man despite starting 1 minute behind them. Sofia Gomez Villafane, Sarah Strum, Lauren Catlin and Brittany Clawson formed up the FLC Cycling chase train before spreading out in that order to finish 2,3,4,and 5. The Men 35+ field was missing the guest instigator from the day before and the Frank Mapel (Stan’s NoTubes) Michael Carroll (Stan’s NoTubes) duo (they might as well be riding a tandem) created a small gap over Andre Michaud (DWC) and Jon Delacy (DWC). The DWC racers did their best to close down the gap but fell short with Mapel taking another win, Carroll in 2nd, Delacy 3rd and Michaud 4th. The Men’s A race got off to a quick start with Sepp Kuss (RMCF Sweet Elite), Skyler Trujillo (FLC) and Mike Wilk (FLC Alum) trading off on the front of the race with Chad Cheeney (RMCF Sweet Elite) holding a gap on a group of FLC chasers. Trujillo and Wilk turned up the throttle to gap Kuss and then Wilk bobbled in the hopable barrier section to give Trujillo the winning margin. Kuss kept riding hard to hold onto 3rd and Cheeney held off the chasing Mike Sampson (FLC) and Robbie Jones (FLC) to take 4th. The Stan’s NoTubes Series Finals are this Sunday, December 16th up at Fort Lewis College with Open Women/Men B at 10am and Men A/Men 35+ at 11am. The venue will be slightly different than in the past with the Start/Finish next to the Amphitheater/Clocktower on the south side of Whalen Gymnasium. All please be sure to make it to the Series awards on Sunday night at 6pm at the Irish Embassy pub at 9th and Main Ave. Should be a great time with the CX community coming together to celebrate the season. 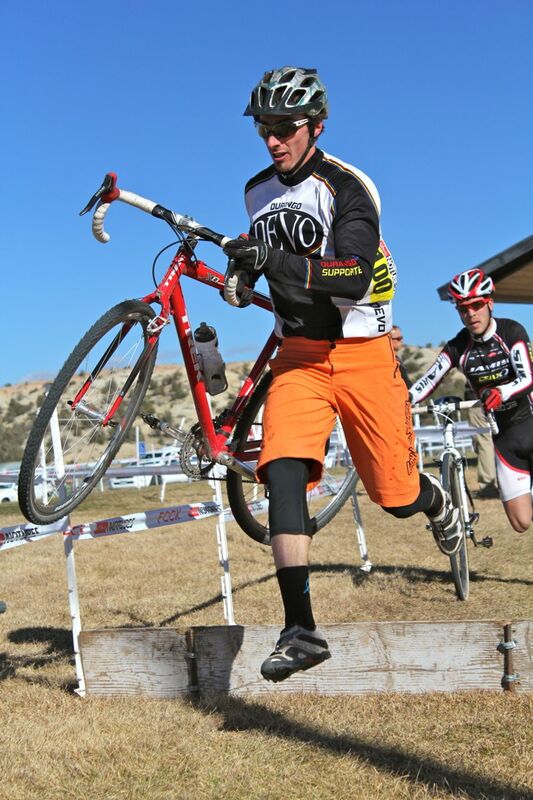 Devo U14 Coach Mint runs the barriers in Aztec this past weekend. 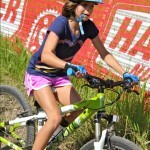 Mint won the B category race last weekend in Durango and now has moved up to the A category. He placed well in Aztec, but might not enjoy this pic of him running with his bike. U14 Coach Mint lets it rip! Baby Bear, Karl, checks out Devo Team Manager Chad's townie last month. Poor little bugger was disowned by his mother and soon after, was shipped off to rehab in Del Norte. Rumor has Karl doing good with a pack of other abandoned baby bears. Nordic/Fat Tire Bike race this Saturday!!! This Saturday’s race at Nordic center has a disco theme!!!! 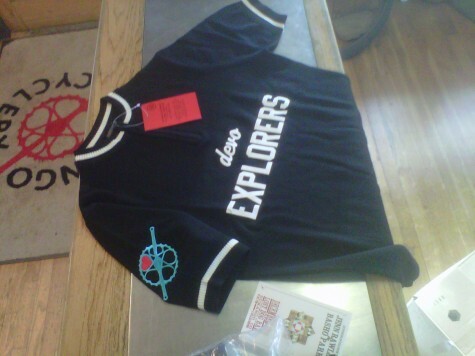 Devo Explorers Jerseys are Here! REMEMBER – The races in Aztec this weekend are at the Tiger Sports Complex (not at the Riverside Park course as in the past). From the north, before entering Aztec proper (about a mile after the speed limit goes down to 45mph) there’ll be signs to turn left to Navajo Dam and Tiger Sports Complex – turn left and follow road to the end (not turning left again to go to the dam). There may be some thorns/goatheads out there so it’d be a good weekend to have some Stan’s NoTubes Latex in your tires/tubes (but truly, all the time is a good time to have it in there). 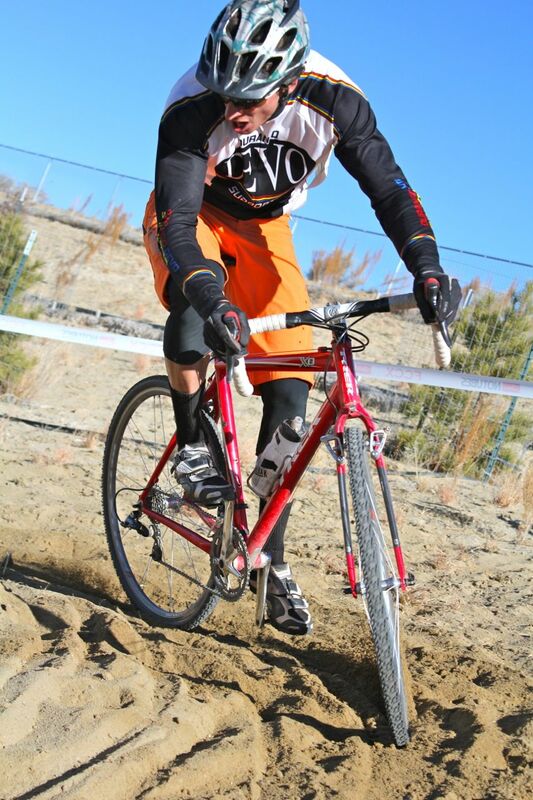 There are races both Saturday and Sunday – 10am Men B/Open Women, 11am Men A/Men 35+ both days. Registration for the 2013 Iron Horse Bicycle Classic opens Dec 1, 2013. 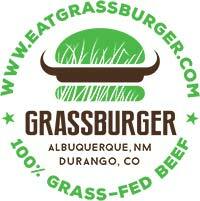 The event will be held Memorial Day Weekend, May 25/26/27 2012. 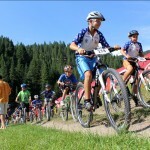 We have just launched a new website ironhorsebicycleclassic.com and we are excited to get things underway for another great year. All the great events are back, The McDonald’s Citizens Tour, Coca Cola Road Race, Quarter Horse to Purgatory, Morehart Murphy Criterium, BP Time Trial, Omnium, MBS Mountain Bike Race, Sprite Kids Race, and the Alpine Bank Push Bike Park. Whew, that’s a lot!! Coach Annie is also a IHBC Organizer. 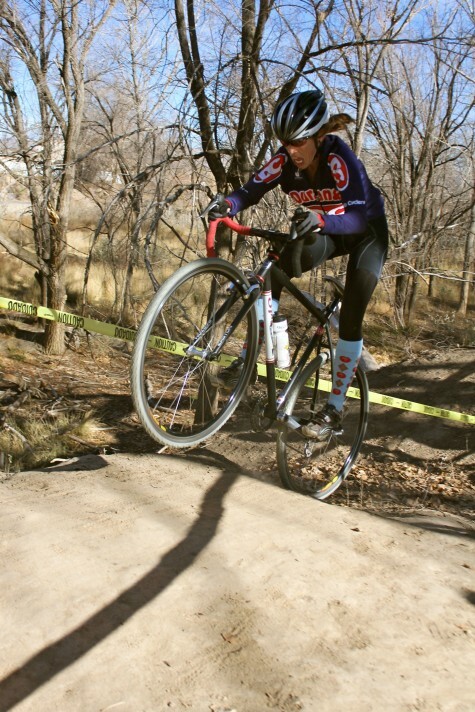 Here she is in Fruita after Thanksgiving winning a cross race! 1986 was the year Coach Chad fell in love with bikes, then Rad the movie came out and Coach Chad became obsessed with bikes. Take some time and watch this classic. Lets walk this sucker!